This is a superb example of reverse carved Lucite earrings. 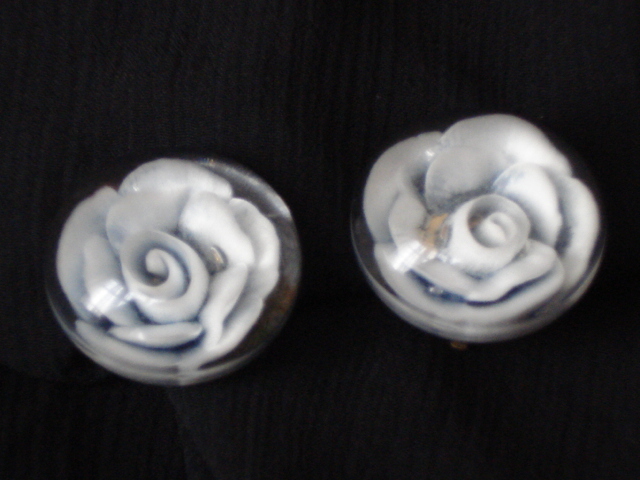 Many brooches are found in this material, but earrings are a little bit more unusual. Lucite was Dupont's trade name for their acrylic plastic which they patented in the 1930's and is usually the name given to jewellery made from this type of material. Dating from between the 1940's and 1950's these lovely earrings would have been hand-carved, like an intaglio. 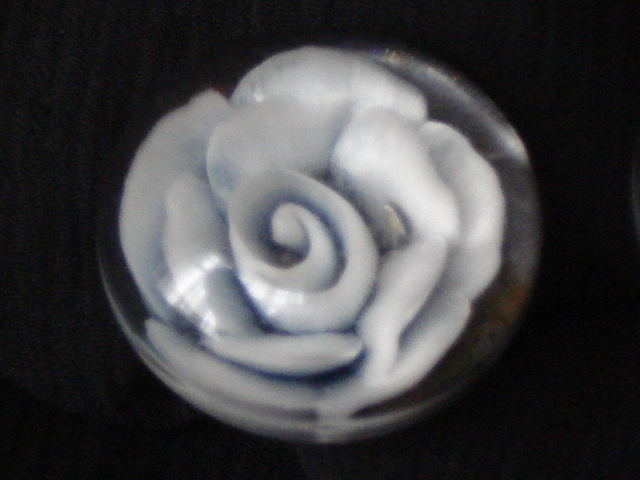 This ensures each rose is unique - just like real flowers are! Once the material had been carved out it was filled with dyed wax or plaster. Over the past 50 years or so, the original 'bright blue' roses have faded out to a very, very soft blue grey (or almost white from some angles) which gives them a wonderful vintage appeal! 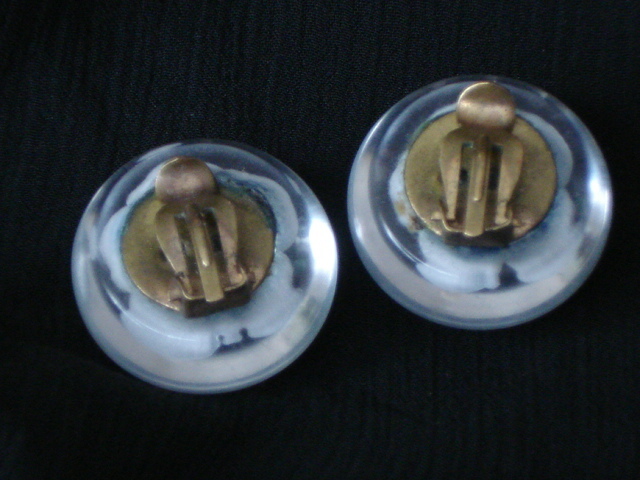 The back clips are made from brass, closing well. Each earring is about 2 cms in diameter, with the rounded dome shape being 1.5 cms high. If you love vintage earrings, you will adore these and they are a great collectable for anyone interested in Bakelite era and early plastics too.